Google has announced a new milestone for their Android mobile operating system just ahead of Apple’s media event to unveil the iPhone 5. The search giant says they have activated more than 500 million Android devices to date at a current rate of around 1.3 million new activations each day. The per day activation rate is a healthy increase as Google was registering just 900,000 activations per day in June and around 850,000 per day as of February. 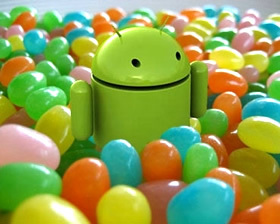 Of the 500 million Android devices in the wild, the overwhelming majority of them are smartphones. At last week’s Motorola Razr event, Eric Schmidt said around 70,000 activated devices were tablets. Information Week points out that Samsung is the largest contributor of Android devices thus far. The company recently announced they have sold more than 20 million Galaxy S III smartphones and 10 million first generation Galaxy Note handsets. This is all in addition to the combined 50 million Galaxy and Galaxy S II units that have already been purchased. With the holiday buying season quickly approaching, it appears the race is on to surpass the next milestone: 1 billion activations. That goal isn’t likely to be achieved this year but with new handsets like the Note II on the horizon, it’s possible that Google could easily close in on 650 million total activations by the time 2013 rolls around. For comparison, Apple sold 46.4 million iOS devices last year, or roughly 515,500 per day. Keep in mind of course that this is an apples to oranges comparison as sales and activations are two different things but it’s all we’ve got to go on at this point. With any luck, Apple will likely update us as to how many devices they have sold at their iPhone 5 media event today.